Sony's early campaigns to advertise the Vita's functionality are coming back to bite them. Read on to hear about their early claims and how they didn't quite pan out, and how the Federal Trade Commission (FTC) is holding them accountable. 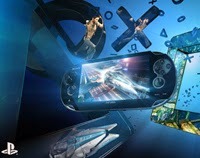 If you are an early adopter of the Vita (pre June 2012) then you are up for a Sony pay out. You may have noticed that if you have ever tried to remote play your PS3 games, that never really panned out. Few games actually work with that (I really only ever got PixelJunk Shooter to work on mine). Moreover, some other issues like the 3G connectivity and cross play functions also never came to be. With remote play, PS Vita users cannot easily access their PS3 games on the PS Vita. Most PS3 games are not remote playable on the PS Vita. Respondent did not specifically design the PS3 system to support remote play functionality. With remote play, PS Vita users cannot easily access Killzone 3 and other similar, data-rich PS3 games on the PS Vita. Respondent never enabled remote play on its Killzone 3 title, and very few, if any, other PS3 games of similar size and complexity are remote play compatible. PS Vita users are not able to pause any PS3 game they are playing on their PS3 consoles at any point in the game, and continue to play that game where they left off on the PS Vita. This cross platform gaming feature is only available for a limited number of PS3 game titles, and the pause and save feature varies significantly by game. For example, with respect to “MLB 12: The Show,” consumers are only able to pause and save the game to the PS Vita after having finished the entire baseball game (all nine innings) on the PS3. PS Vita users who own the 3G version are not able to engage in live, multiplayer gaming through a 3G network. PS Vita users are restricted to asynchronous or “turn-based” multiplayer gaming with the 3G version of the PS Vita. In addition to this, it wasn't clear to consumers that you would have to purchase two copies of a game to utilize the cross play/cross save functionality. Accoring to Gamesbeat a Sony rep told them the early adopters will get a refund of $25 in cash or credit or a $50 merchandise voucher to anyone who bought a Vita before June 1, 2012. If you’re eligible, Sony will send you a notice by email. What do you think? Were you mislead by Sony's false advertising regarding the Vita? Let us know in the comments below!